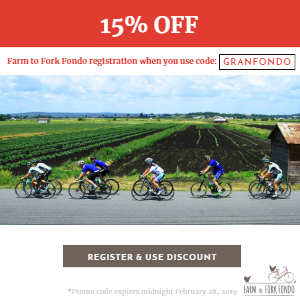 Starting in Mamakating Town Park, the Gran Fondo takes place on the Shawangunk Mountain Range referred to affectionately by locals as the “Gunks.” The scenery is breathtaking and the routes challenging. There are 3 routes which all contain some climbing; the 27 mile Medio Fondo with 2,673 feet of climbing, the 43 mile Medio Difficile Fondo with 4,100 feet of climbing and the 61 mile Gran Fondo with 6,912 feet of climbing. The rides start at 8:30 in the morning, but beforehand all participants will enjoy a hearty Breakfast including coffee, yogurt, muffins and apple cider donuts. All routes feature the majestic Mountain View from the Cragsmoor Stone Church atop the Shawangunk Ridge which reaches over 2,100 feet above sea level. Along the routes there are fully stocked rest stop(s) with bathrooms and SAG (support and gear) vehicles to keep you fully fueled up, hydrated and riding. The routes contain timed sections for the Queen of the Mountain (QOM) and King of the Mountain (KOM) competition and winners will receive custom t-shirts acknowledging their accomplishments. The Gran Fondo features five timed sections; Vista Maria Road, Laurel Mountain Road top: Pickles Road, Buttonwood Road and Mountain Road. The Medio Difficile Fondo two timed sections; Cragsmoor Road and Crane Road. The Medio Fondo one timed section; Cragsmoor Road. There is also a final 2.7 mile “MS Gran Fondo Sprint” segment that is timed separately from the climbing sections with the fastest female and male cyclists receiving custom t-shirts. At the finish, there is a full meal consisting of several options, salad, assorted beverages and Clemson Brothers Beer to help you recover and celebrate your achievements! Complementary fascial stretching will be provided by SR Bodyworks and Rhodes to Recovery. Register and Receive a FREE Event T-Shirt! 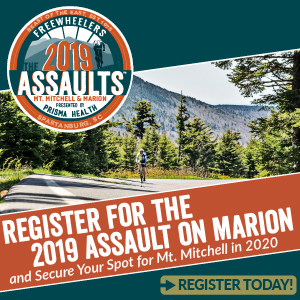 All cyclists who register on or before Sunday, September 15, 2019 will receive an event t-shirt at no additional cost. You must be 18 years old to register. 100% of the net proceeds of the Climb the Gunks for MS Gran Fondo will go to benefit the National Multiple Sclerosis Society. Every member and volunteer of our team donates their time and energy to benefit those who suffer with MS. In addition to the registration fee, all cyclists are requested to fundraise or donate a minimum of $50 to the National Multiple Sclerosis Society. Segment times will be recorded by the Ride with GPS app. After you register you will receive an email with instructions on downloading the free Ride with GPS app. Upload your ride from your phone (save your ride as public) or Garmin to Ride with GPS by Monday, October 7, 2019. The final results will be announced on Monday, October 14, 2019!